Channel your inner Janet Leigh... Ooo - on second thought - maybe not. 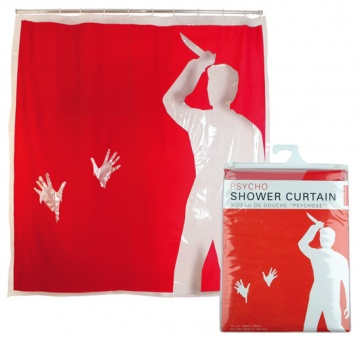 Shower curtain design based on Alfred Hitchcock's thriller PSYCHO. 72" x 72" red shower curtain with clear figure and hands. PVC free (made of 100% EVA).